Our Mission at Strickland Funeral Home is to help families through the most difficult times of their lives. Like our company emblem, we seek to shelter the families from the storm. We want to help create a meaningful and memorable celebration to the light that was your loved one. 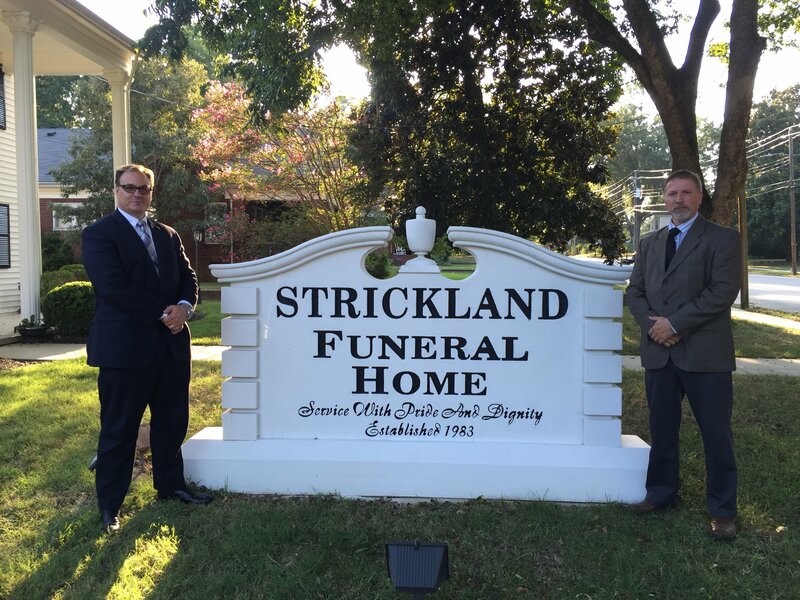 Strickland Funeral Home helps give families the choices that they need, whatever they may be, to say goodbye. We are a local, family owned, independent funeral home. We specialize in funerals, cremations, memorial services, and celebrations of life. The staff of Strickland Funeral Home takes this concept seriously – a funeral is a time to honor the life of the deceased and celebrate the heritage of their family. We strive to make each funeral a respectful, fulfilling experience that meets the unique needs of each family. We are members of the Wendell Chamber of Commerce and Zebulon Chamber of Commerce. Our staff is family and that doesn’t change when they retire or move along to the next part of their journey.